Serving the Southern California and internet markets, Ralf Willruth has been a photographer for decades, but only recently did he combine his passion and his profession. Realizing that in todays market, every business wants and needs good photographic images, but many smaller business cannot always wait for photographic services nor afford them on a regular basis - after all, time is money and being able to develop a photo solution within your own business can often be more cost effective, plus it's under your control! This prompted Ralf to create "Photographic Solutions"! So what does this mean? It means that not only can Ralf provide quick turnaround for smaller jobs, he can also help you solve your larger photographic problems through instruction or in-house solutions. Ralf is mobile and able to quickly respond to most smaller jobs, which means a Southern California business owner or creative director can achieve cost effective and fast turnaround time on many last minute jobs that others might not be able to take on. 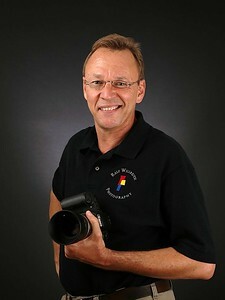 Through his years of experience, Ralf realizes that your success is most important, and he may very well have a solution for you when it comes to creating images for your business. Click on "Solutions" within the menu bar for full details, or better yet, give him a call and schedule a lunch together! 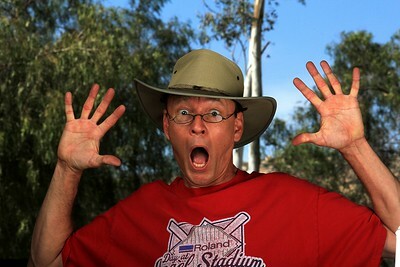 Ralf has been a photographer since the early '80s, when he was given his first serious camera of the time. It was a 35mm film single lens reflex camera and he was hooked! Ralf attended classes to learn about composition, lighting and darkroom techniques. During those years, his work was a mixture of self developed black and white as well as some lab developed color. Flash forward a couple of decades to 2002, when Ralf began experimenting with his first digital camera! It was only a “point & shoot”, but he used that camera for many trips and adventures as he discovered the benefits of digital photography to share his mind's eye view on the world. Ralf still continues to carry a point and shoot as a backup to this day. Currently, Ralf continues to attend various workshops and events to learn from and with others, honing existing skills and adding new ones.